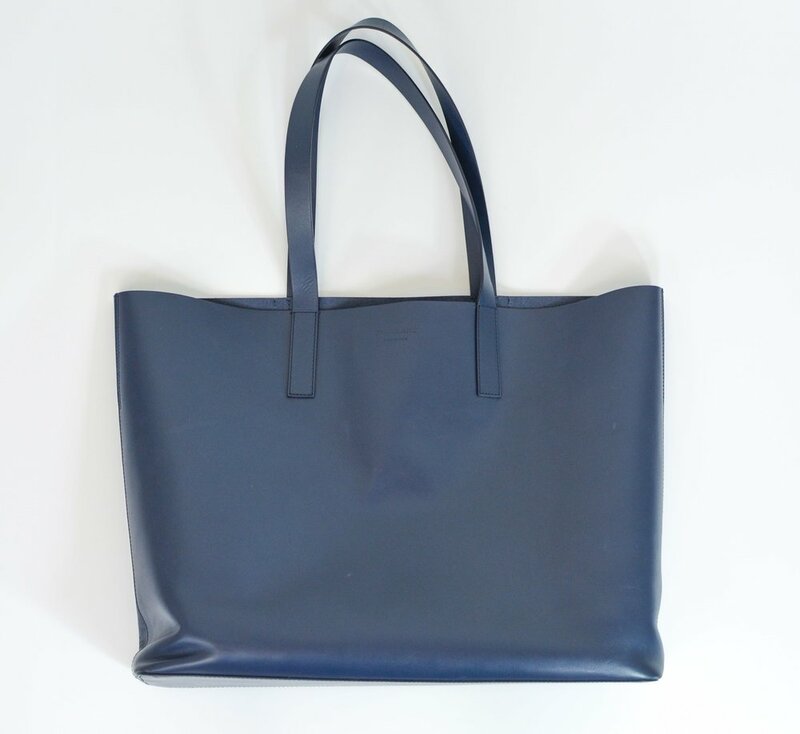 As my first item in my closet to reach a 100 wears this year (ever since I started keeping track in the Stylebook app), I wanted to give you guys an update on how this Everlane Day Market Tote is holding up. I originally reviewed the bag here. Currently I’m at 104 wear and at $1.58 per wear. Not bad eh? This is by far my most used item because it’s my work tote and travel tote. And since it’s my work tote I don’t baby it at all. I just pile things in because in all transparency I’m quite a messy person. So if you’re one to put things in neatly I’m sure your tote would look much better than this after 100 wears. But as for me, I know this is a really great tote because even after all the abuse it’s taken, it’s not only still fully functional but it still looks great too! I actually like the look of the tote on the weathered side. It looks loved and well-used. And with age, the leather on this tote has gotten better. The leather has softened with use. The corners are also a bit wrinkled and when it sits empty, it takes a funny shape (but I’m pretty sure this is because like I said above, I just throw things in there). But I like it. It’s got it’s own wrinkles and character. The handles are still in great shape even though I’ll carry up to 30+ pounds in there (and I can do that because the tote itself is so lightweight). I once had a Mansur Gavriel bag straps get flaky and crusty as the leather and paint started to soften and wear but I have no problems like that with this bag.